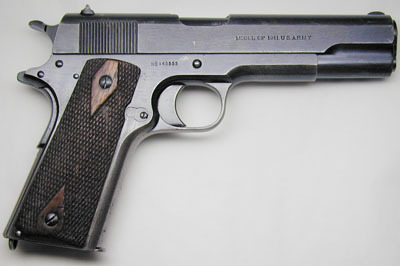 Colt Model of 1911 U.S. Army serial number 145555 - One of 1000 pistols shipped to San Antonio Arsenal, San Antonio, Texas on April 3, 1917. Original barrel with separate "P" and "H" . 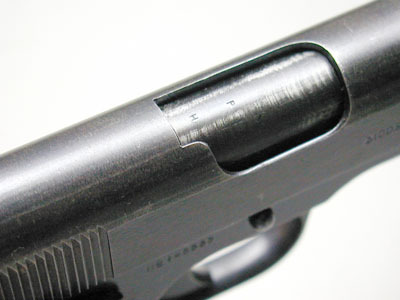 The "P" is a proof mark and the "H" is the provisional inspection mark of Francis L. Hosmer from serial numbers 101 - 710000, with the exception of serial numbers 133187 - 137400. 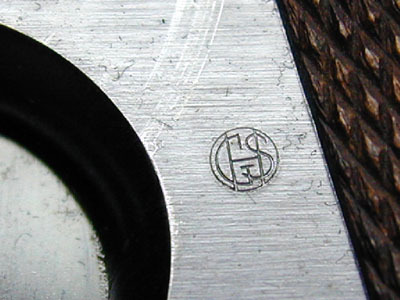 The mark of Army Inspector of Ordnance Major Gilbert H. Stewart. Stewart inspected these pistols from September 30, 1914 - January 12, 1918. 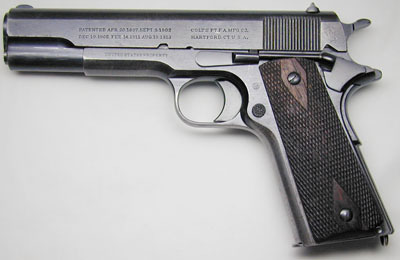 Serial numbers of Model 1911 pistols inspected 101500 - 230000.